REAL FOOD REAL KITCHENS | food. family. recipes. culture. tradition. drink. Be sure to visit our Facebook page and Like and Share and watch our newest videos! We are currently casting in Atlanta for 2019! To apply CLICK HERE! Real Food Real Kitchens Season 3: New York, is HERE!!! It's Time for Family, Friends, Food, and Love! Season 3 is HERE NOW! Click Here to Watch Season 3! Family, food, culture and history; these are the essence of Real Food Real Kitchens, a cooking series that goes into the real kitchens of everyday people and explores one of their most cherished traditional family dishes. Real Food Real Kitchens tells the intimate story of a person, their family, and their culture and how food creates an emotional bond that connects them all together. 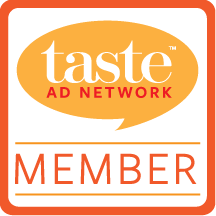 Real Food Real Kitchens is part of the Taste ad network anchored and promoted by Taste of Home media and Readers Digest. Second episode of Real Food Real Kitchens ‘LIVE’! Parsnip Cauliflower Mash with Garlic Browned Butter. 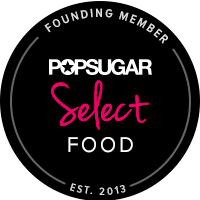 Sign up to receive emails about all the delicious things we are up to! We respect your privacy & won't ever share your info. Follow Real Food Real Kitchens's board RECIPES from RFRK on Pinterest. Peter shares a beautiful New York story matched with delicious Italian recipes. Jai Sen shares a traditional family recipe for Bengali Shrimp Curry, an Indian dish his Mother taught him. After a rough childhood, John has taken on a positive approach to life that includes eating a plant based (vegan) diet. He makes a vegan version of his Mom's meatloaf and mashed potatoes. Alysa follows her family food roots from her current home in Harlem, all the way back to Albany, Georgia where she would visit her Grandmother on her farm as a child. She shares recipes for smothered pork chops, sweet potato casserole, and mac n' cheese with her family of friends in New York. Liz's Puerto Rican roots go deep in New York City; from Spanish Harlem, to the Lower East Side to Queens. Her Father taught her how to cook at a young age after her Mother passed away and through his recipes she connects with her Latin roots. Real Food Real Kitchens guest Christi shares her families tradition with us by sharing her Grandmother's famous peanut butter pie recipe in this Real Food Real Kitchens Holiday Special! Bart and Marc became life long friends through their mutual love for BBQ. You never know what a rack of ribs will do for you. In addition to their delicious holiday recipes, the Deffebach family’s final tradition might surprise you! The Imami Family share a plethora of traditional Indian recipes. Kendle is straight Kentucky, complete with her rich Derby Pie and creamy bourbon caramel sauce. Life is even better with a handful of Rose’s fried pies. Crystal prepares a simple southern dinner of home-style meatloaf, mac n cheese, cornbread, and fried okra. Caitlin and her family got this Southern Sunday Dinner covered… in delicious gravy! Vonda’s secret family red velvet cake goes back over 25 years, we can taste why! Jim and his Father ‘Captain Trigger’ take us on a seafood adventure with this traditional family chowder. Simple and delicious comfort foods are Trish’s family’s favorites… no problem for this enthusiastic home chef.